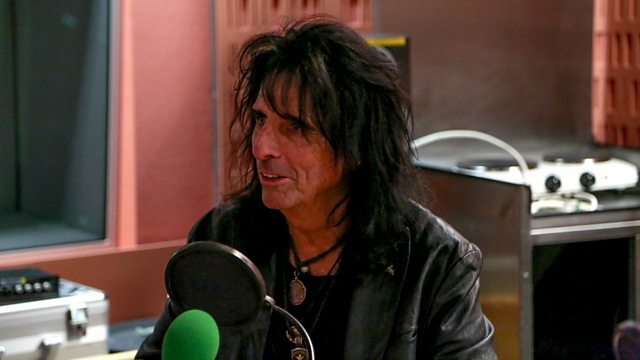 Clive Anderson and Emma Freud are joined by Alice Cooper, Eddie Izzard and Tape Face for an eclectic mix of conversation, music and comedy With music from Elkie Brooks and Poppy Ajudha. 'Believe Me: A memoir of love, death, and jazz chickens’ is published by Michael Joseph and is out now. Eddie will be reading extracts from the book at The Lowry, Salford Quays on Sunday 2nd and Richmond Theatre on Tuesday 4th July. Check his website for further dates. And you can also listen to Eddie reading his memoir on Radio 4’s Book of the Week – on BBC iplayer now. 'Tape Face' is at Garrick Theatre, London until Saturday 22nd July. ‘Paranormal’ is available from Friday 28th July on ear MUSIC. Alice is touring with the original Alice Cooper Band in November. Check his website for dates. ‘Pearls – The Very Best Of Elkie Brooks’ is out now on Virgin EMI Records. Elkie is playing at London Palladium on Tuesday 19th September. Poppy's single 'Love Falls Down' is available now.